Professor Magdolna Jákfalvi is specialized in the theater history of Hungary under socialism. She organized the first scientific operetta conference in Hungary recently, dedicated to Emmerich Kalman’s Die Csardasfürstin, which celebrated its 100th anniversary. At her conference – hosted by the Budapest Operetta Theater in one of their historical foyers – topics were discussed that are mostly unfamiliar to operetta aficionados outside of Hungary. 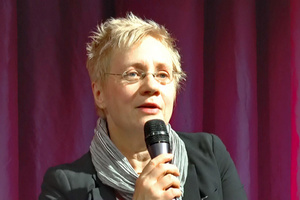 ORCA spoke to Magdolna Jákfalvi and asked her about her perspective on Kalman, modern and historic operetta performances, and the reaction of her young students to the genre. Why was there no academic interest in operetta before your conference, why is there interest now? Who are the newly interested researchers? Cultural studies in Hungary just begins to work on the heritage of state-socialist past. 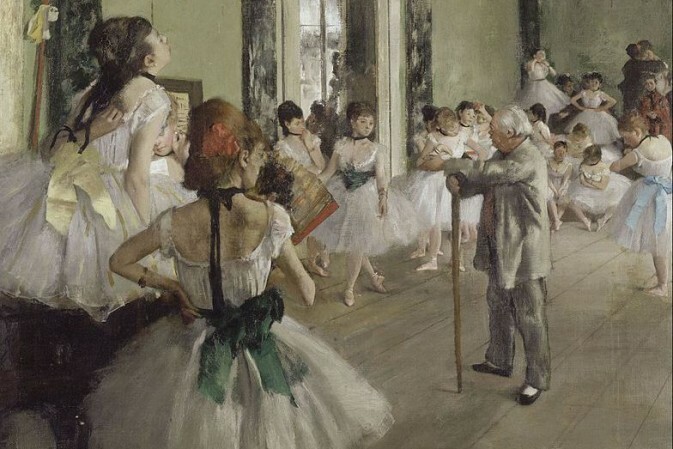 For theatrical studies, due to the ephemeral and non-recordable nature of the performance, it was rather difficult to achieve admittance to the academic spheres. For long it wasn’t considered scientific research to study theatre history. The first university-based research group was formed only in 1994, while in Germany this field has been institutional for at least 60 years. Our subject, the Hungarian theatrical history of the last 60 years, is sharply divided, so we have to work with two radically different sets of expectations and of supported cultural preferences, also two very distinct stocks of sources. This requires a complex methodology. Our main dividing point is the year 1949 when theatres were “nationalized”: before that even the daily newspapers regularly published reviews that are historically intriguing, while afterwards criticism was substituted by readers’ letters from “worker correspondents” in “professional” journals such as Kazán (‘Boiler’), Fonómunkás (‘Spinner’) or Hajóépítő (‘Shipbuilder’). Before the 1970s the historical study of popular arts wasn’t very prominent on the international scene either, so I don’t detect much delay here in the scientific discourse. 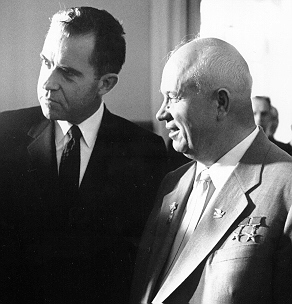 I would focus, instead, on the confusing political narrative which considered operetta a “bourgeois diversion” on the one hand, but on the other allowed its existence, due to its being the favourite genre of Khrushchev. This double standard positioned the operetta somewhat like – and I, of course, generalize here – the banned avant-garde works of the “secondary public sphere”. Therefore, the operetta genre is primarily studied by such scholars that tend to write public-sphere history, instead of institutional history, and it is especially true for my colleagues who work with me in the Philther-project (www.philther.hu). I invited them to the conference – together with the acclaimed masters who have witnessed the whole state-socialist era. The focus of your conference was on Kalman’s Csardasfürstin, a show that celebrated its 100th anniversary this November. What were the aspects you and your colleagues analyzed and discussed? Our primary objective was to explore the theatrical-cultural context of the productions. We have a reasonably accurate knowledge of the performances of Kálmán’s oeuvre up until the nationalization, but after that we know very little of the circumstances, the power games that decided the fate of a premiere. So we primarily analysed these circumstances, based on documents of political history. You yourself are specialized in the history of Hungarian theater in socialist times. What part does the Csardasfürstin play in socialist Hungary of the 1950s and 60s? Hanna Honthy on the cover of a Hungarian magazine in 1954. The 1954 premiere of A Csárdáskirálynő is a prominent event in theatre history. We are one year after Stalin’s death, and it is the great return of Hanna Honty, the celebrated diva of the pre-war “bourgeois” era. It was only in the 1990s, after the political changes, that the witnesses of these events began to speak plainly of getting the permissions, offering the compromises, tricking or accepting censorship. 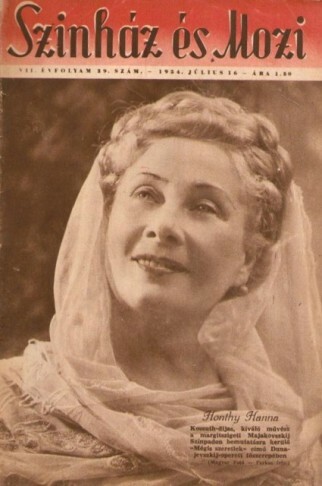 Margit Gáspár, director of the Operetta Theater between 1949 and 1956, gave a series of interviews on her theatrical memories in 1986, there were published in 1993. So my answer to the question is that we don’t know the exact role Csárdáskirálynő played. Our perspective is outlined by the study of memoires, correspondences, and reports of covered agents. That was the primary goal of the conference: to look back on a tradition that is well-known worldwide, and to find its location in our own cultural history. Why do you think so many people worldwide, including Hungary, don’t want to acknowledge the political dimension of operetta? Operetta offers a range of layers for the spectator to relate to, and the first one of these is always airy and familiar. The harmony, the dramatic twists and turns, the patterns of casting are as strong and compelling as in any folklore creation. Operetta is folklore, and folklore gets interesting only when a second or third or umpteenth layer becomes visible through the first. This requires such a proficiency and humility on the side of the producers/directors, which makes them able to look at Kálmán’s oeuvre as an “interrogative art”. And it requires an audience that is proud of its world-famous tradition and willing to dismantle it with reverence and also impudence. In the 1980s, there were such operetta productions made in the legendary Kaposvár Theatre under the direction of Tamás Ascher and János Mohácsi – away from the mainstream, but also away from censorship. We began to work on this story, that, when worked into history, might also affect the creative artists’ courage and curiosity in our days. 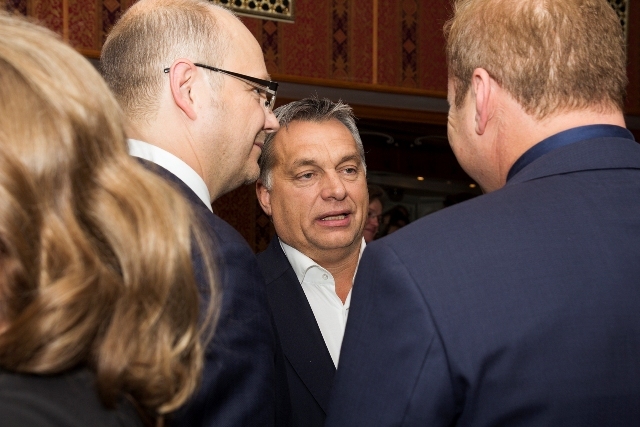 For the big birthday gala at the Budapest Operetta Theater, prime minister Viktor Orbán attended – and the production by KERO strongly emphasized the “nationalistic” element in Kalman and Csardasfürstin. How would you evaluate this, in terms of today’s “operetta & politics” in Hungary? The question suggests that it is so easy to fathom the intentions of the authorities and thus create a production that obtains support. But it is way more difficult. The political nationalism represented by the prime minister has very little in common (if not ironically) with the stereotypic bravado of the soldiers presented in the performance. As it was a cultural artefact played by the score and not an interrogative work of art, it isn’t worth the effort to examine the relationship of operetta and politics through this. The presence of the nobilities reminded me, in a strange and funny way, to the 1950 premiere of La Grande-Duchesse de Gérolstein. The newly appointed director, the wonderful (and, of course, ardent communist: her story would deserve a monograph) Margit Gáspár put Kálmán Latabár, the best dancing comidians on the stage, who was under harsh political attacks at the time. Gáspár, in a private letter, invited Mátyás Rákosi, the party leader and prime minister, who sent forward his cultural minister, József Révai. When the feared bureaucrat laughed his head down during the Offenbach performance, it became clear that no one will be exiled, symbolically or literally. The operetta-folklore, the buffo-tradition, the art of comedy might stay. 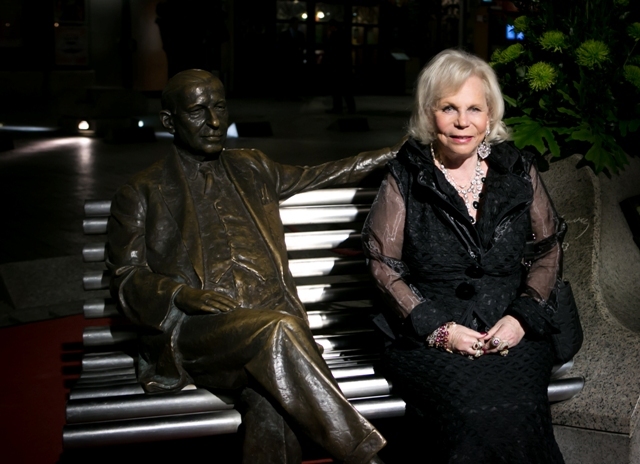 At the gala, there was a short video clip of Hanna Honthy singing Cecilia in Csardasfürstin – the expanded role of the mother of Edwin (the tenor). With just one giggle, she practically blew away the entire modern competition, in terms of character and magnetic stage presence. Why are such strong characters mostly absent from the modern Hungarian operetta scene? Hanna Honthy was an actress of the magnitude of Duse or Sarah Bernhardt, the likes of whom is just as difficult to find on present day European scenes – if we put the question in this nostalgic way. Honthy was, for a half-century, the best operetta-specialized creative artist in Hungarian culture, with not only the best singing voice and acting skills, but also a hard (we could say ruthless) managing ability and a very conscious view of her career. A prima donna without a partner, without an equal bon vivant. After the war, the Operetta Theater, like many other theaters, struggled with a shortage of male actors. Margit Gáspár recognised this and used it as a feature. Without an appropriate male actor, she rewrote the great works of the operetta genre for a dominant prima donna, without a bon vivant. This supporting dramaturgy also contributed to Honthy’s success, amplified her legend, that is so prominent on this television broadcast from 1961, recording the 1954 production. (Available on YouTube, but not on DVD, alas.) Honthy is the best known Hungarian singing actress. 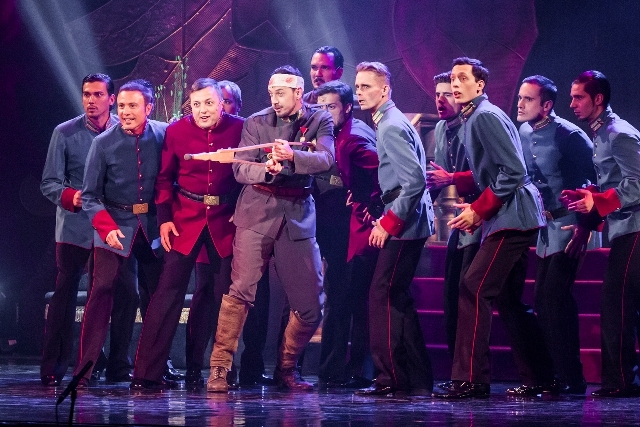 The Budapest Operetta Theater is on tour often, performing internationally. 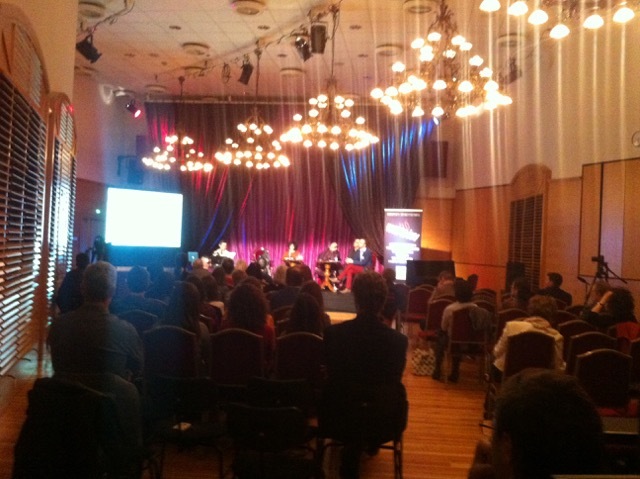 Is the audience in Budapest also a noticeably international one? The transformation of an audience is a slow process, especially that of a musical theatre, like the Budapest Operetta Theater. The genre of operetta changes even slower, if at all, and this permanence is the token of its success as well as the obstacle of its renewal. In prose theatre, for example, we are willing to see several productions of The Seagull, to learn how Arkadina looks today, how old Nina is, whether Treplyov kills himself in the end or not etc. Prose theater asks its questions textually, while musical theater continually breaks out singing, and the well-known melodies of the songs bring about the well-known relationships. Very few spectators ask, not only in Hungary but worldwide, where Edwin should be ‘positioned’ today so that his parents would genuinely freak out about his intended marriage to a show girl. And whether someone would turn Sylva into a drag-queen or a refugee … Would that freak out Edwin’s parents so genuinely that the whole Budapest audience would totally agree with them and leave the theatre in protest? It would probably be a great success in interpretation, and a great fiasco financially. 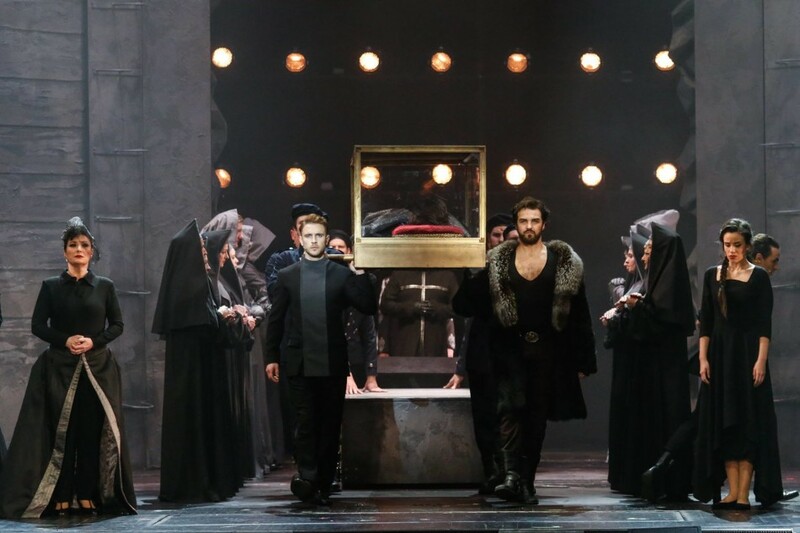 Yet there have been successful attempts to interpret Sylva as a “drag queen” in a production of the Cologne Opera, with Christoph Marti in the title role, having a homosexual affair with Edwin in a 1950s setting. There are plans to publish the lectures/papers from your conference in Hungarian. Is there any chance that there will be an English edition of the book? Yes, we will publish a conference-volume, and yes, we plan to strengthen our international presence. It’s a question of financial support. What would be interesting for international readers about this book? State-socialist operetta is a field that isn’t properly mapped yet, even for ourselves in Hungary. We just began to explore the scores, read the librettos etc. I think this research corpus will be just as interesting for the international audience as it is for us. You teach young dramaturgy students at the Budapest University. How did they react to their first academic encounter with operetta? Since they all come in with their typical snobbism of “high culture”, they had to struggle at first, overcome their uncomprehending repulsion. Then, slowly, having seen such productions as Barrie Kosky’s operetta versions from Berlin, they realized that operettas can be just as interrogative as operas or prose plays. And the presence of operetta in Hungarian cultural tradition is rather stronger than many other genres. This intrigues them greatly, and several new operettas are created in the new generation. We will deal with these in the coming semesters. It is good to see that these trends have reached the Operetta Theater as well, because it is only possible through them for these ideas to slowly reach and convert a wider public.